WATCO Lacquer Clear Wood Finish is the finest brushing lacquer available. WATCOLacquer fills in the pores of most wood types eliminating the need for wood filler. Apply to furniture, doors, cabinets and paneling for a crystal-clear, durable wood finish. Dries in 30 minutes and does not require sanding between coats. 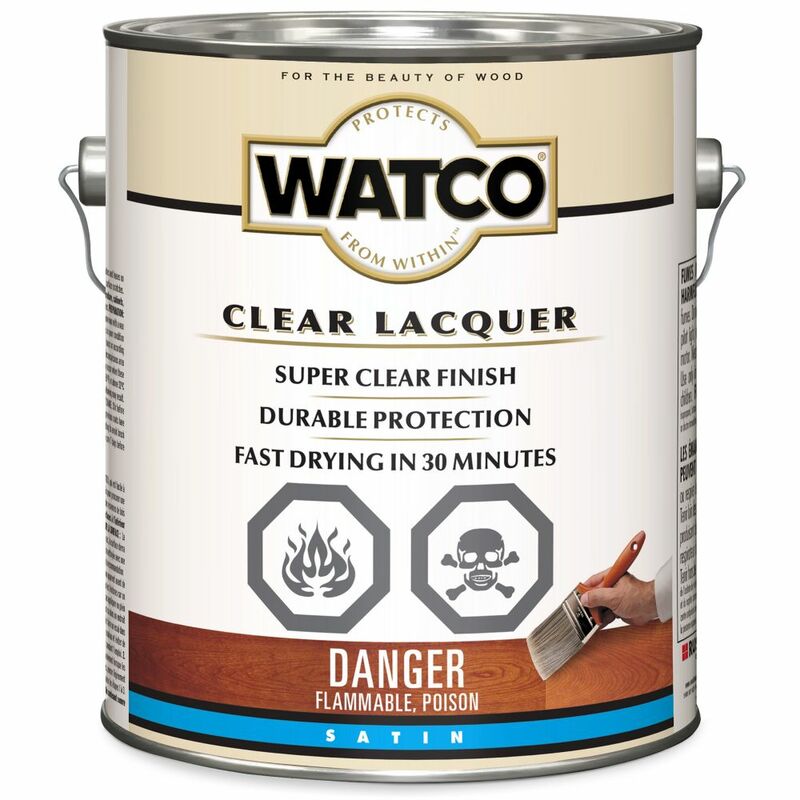 Watco Lacquer Clear Satin 3.78L WATCO Lacquer Clear Wood Finish is the finest brushing lacquer available. WATCOLacquer fills in the pores of most wood types eliminating the need for wood filler. Apply to furniture, doors, cabinets and paneling for a crystal-clear, durable wood finish.